One evening, shortly after finishing dinner, while sitting at the kitchen counter with my two young kids, my husband was doing the dishes across from us. "Ugh, I need a back massage", I whined. To which my husband replied, "I’ll give you one later". She continued, "Dad makes us dinner, cleans up after us, and next he’s going to give you a back massage?!" 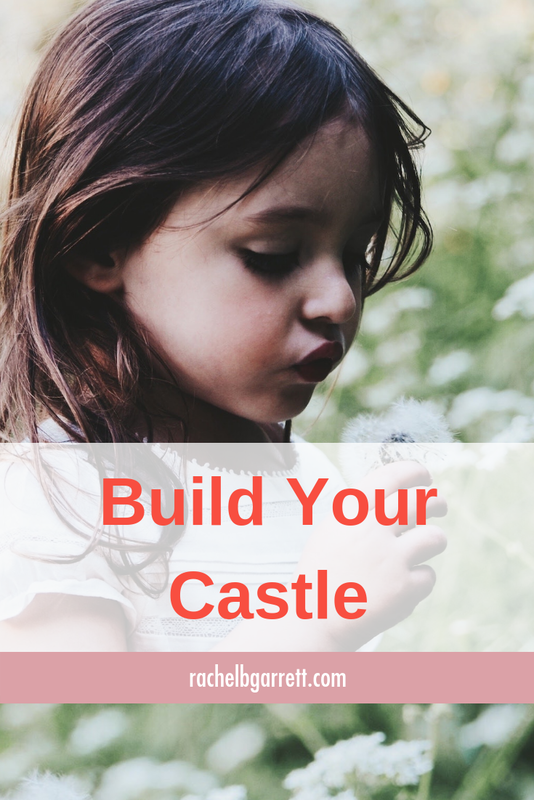 I looked her straight in the face and simply said, "girl, build the castle in which you want to live". She didn’t say another word. I repeated the story to my Mother. She loved it, and shortly thereafter had a bracelet made for my 35th birthday with the inscription, "Build Your Castle". I’ve worn that bracelet every day since, and have had that mindset, all my life. With lots of support and help from others, I’ve built a successful career, friendships and family...wonderful, challenging and fulfilling works in progress. However, this past October, I found myself struggling. My "works" weren’t crumbling, but I wasn’t sure what I was building professionally. Why am I working this hard? Is this really what I should be doing for the rest of my life? Do I even like what I’m doing? I was lost. I was depressed. While on a business trip for professional development course required by my fabulous employer, I had mental meltdown. I knew I needed help. Rachel and I first met several years ago, while members of a local running club, just as she about to leave corporate America and launch her coaching business. I thought she was pretty amazing then, just as much as I do now. Although we only stayed in touch through social media, and hadn’t seen one another in years, I knew she would be a perfect starting place. We spoke over the phone at the airport, while en route home from the training and met in person shortly thereafter for coaching sessions. We talked it through. And I wrote about it. She questioned me and my thinking. Then, I hashed out. Over days. Over weeks. We made some connections. And dug a little deeper. Payed attention a little more. Our coaching sessions didn’t conclude with a concrete answer, but the overall understanding and belief that I need to spend more time doing what I love. My "aha" moment was when she reminded me that "it’s all in me". I am a connector. A networker. A hostess. A good friend and entertainer. I am a community builder. I wasn’t sure what that meant for my current or future career; all I knew is that needed to spend more time doing it. I was inspired. I was motivated. With that motivation, I registered my Sister and I for the NYC Girlboss Rally. We brainstormed ideas, hustles, blogs, businesses over lunch and hours-long professional headshot lines. We have five kids under the age of seven between the two of us, and could have stayed in that line for days without complaint, ‘cause we were lovin’ on our brains, our badassery and the fact that our kids were with our husbands for 12 uninterrupted hours (AMAZING!). I will remember that day forever. It was there, that Jam Program was born. Jam Program is a passion project, a side-hustle and a creative outlet for my Mom, my Sister and I. Our daughters are joining us for the ride, too. We left the rally with name ideas (luckily, my sister’s secret talent is naming things….kids, pets, parties, blogs, companies, etc.) and a loose understanding of the product, experience, service it would provide. Since December, we have hosted monthly networking Jamborees (in the homes of "Jamborettes") with over 100 participants dispersed between NYC and Connecticut. Our aim is to build multi-generational networks and communities in attempt to create a "modern village"; a place where we help one another, support one another, give, take, and swap skills, stories, struggles and hustles. Jam Program is only several months old but we’ve been having fun and working hard to build something deeply meaningful to us and hopefully, our communities. 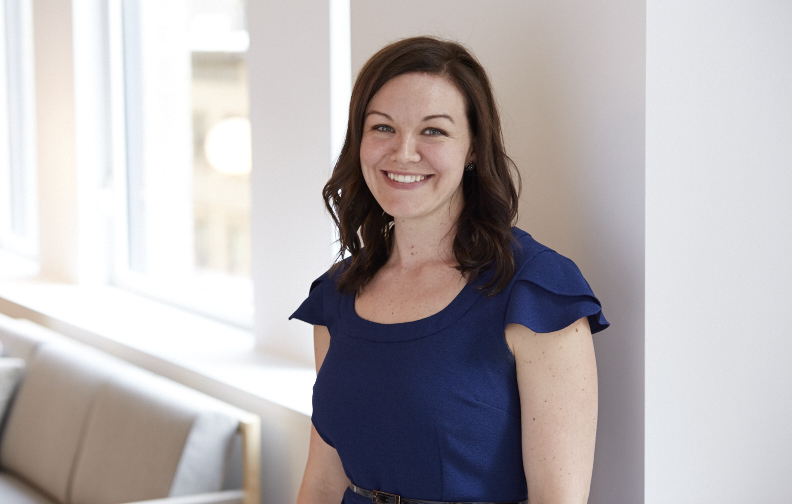 Ashley Rigby is Sales Manager for Herman Miller, Inc. a research-based, furniture manufacturer and has been a contributor to the architecture and design community for over 14 years. She is considered a subject-matter expert on learning space design and designing for the growth-mindset, sharing her research and thoughts on the topic at The New School, Fashion Institute of Technology, Cornell University, University of Michigan, University of Connecticut in addition to over 50 architecture and design firms. When she's not in the classroom for work, her kids or otherwise, she's exploring New York City with her family, throwing parties in their postage-stamp-sized backyard and doing way too much laundry. She is at her best when helping others cultivate a growth-mindset, develop diverse networks and inspiring personal and professional communities.